Interesting. In synastry with an ex my Venus was in a T-square to his nodes. His Venus was conjunct my north node and his Saturn conjunct my South node?? Venus is the ruler of my Taurus South Node… We were obsessed with each other and it took every part of me to push him away for good. An infidelity that I can’t forgive him for… is this going to continue into the next life you think? Any feedback is appreciated. I am South node(1st house) in pisces north node virgo(7th) with someones ascendant in sag squaring it…. Would this be like, I need to not be selfish and dislocated and learn to be more focused relating to other people, and this guy is at odds with that because of his free nature? I have scorpio NN in 1 house with square to 10 house leo venus. Alternatively it squares my taurus SN in 7th. His mars conjuncts my venus and moon conjuncts NN. Thank you so much for shedding light on the skipped step approach. I know this is an old post. But if you have time, would you mind telling me what the case might be when an axis, rather than a planet, (AC-DC axis or Vertex axis) conjuncts two skipped step planets at both ends, does that count? His nodes are squared by his Moon and Jupiter. Her AC-DC conjuncts them. Her nodes are squared by her Jupiter and Venus. His Vertex – Anti-vertex conjuncts them. In other words, his nodes square her AC-DC and her nodes square his vertex. True node used and all orbs within 3 degrees. Fascinating article! I have NN in Cancer in 7th house and SN in Cap in 1st house. It’s squared by Mercury in Libra. My bf has his moon exactly conjunct my Mercury. Also my North Node is conjunct his Juno. I absolutely knew it was karmic when we met. Transiting Pluto went conjunct my South Node the day we first really hung out together. I’ll have to ponder all this. I’ve always enjoyed your site and am very curious about this strange connection I have with someone. There seems to be considerable energy in this part of our chart and I’ve been trying to understand it. We have both our south nodes in 6th house Scorpio with my vertex and uranus there. My vertex conjuncts his south node almost exactly. We both have our north nodes in 12th taurus with my moon, jupiter and chiron there. Sorry for the double post but I realized that we have south node square sun, mercury and venus. It definitely sounds like this is a very painful karmic relationship. Hard to tell right now if there is more to come or if we’re leaving this for another lifetime. Mars Rx and things are quiet. It doesn’t feel over, feels like we’re waiting for something, but that could be the eclipses! This explains a lot! My husband’s Moon and Sun straddle my North Node in my first house in Sagittarius and his Saturn is on my skipped step (my Nodes square Mars, 9H, intercepted in Virgo); like, 2 minutes and 3 seconds. 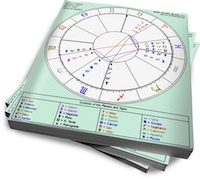 Saturn and North Node are conjunct in our marriage chart and, at the time of the Node Saturn conjunction in 2013, were sextile to that position by less than a degree. Circumstances have conspired to make this marriage enduring, for better or worse, mostly worse. If there is something that is supposed to be learned from this cruel and unusual joke, I wish I knew what it was. Do you have any suggestions about how to work with this energy to be happy? My new very close friend’s north node squares my north node, south node as well of course and my sun (that conj SN). All I can feel is some strange tension but we can’t stop contacting each other. But I have no idea how to interpret this “connection”. and what if their Saturn squares your North and South Nodes? Is this typical to have the same planet in both NN and SN at the same orb? Does it make sense to leave behind in the South and evolve to in the North simultaneously? Could you explain the significance of one person’s nodes squaring the other person’s nodes? Also, my South node is conjunct his Chiron and Mars, my Jupiter is conjunct his Sun, and his Saturn is conjunct my Venus. Jupiter was retrograde and conjunct my Moon, and Pluto was retrograde opposite my Jupiter when we met. Have not found anything here about nodes square nodes, so would really appreciate some illumination! Great article! I have this with someone, My venus (11th house) and moon(10th & 11th house cusp) in leo squares his north node in scorpio in my 2nd house. Any insight into possible themes? 1. Person A has N node at 26 Taurus. Person A does not have any planets in Leo or Aquarius at all. Person B has Venus conjunct Jupiter in Leo, with Jupiter at 26 degrees and Venus at 28. Since person A does not have any planets in Leo himself, would the synastry still have any significance? I guess, in other words Can person B provide person A with something that he does not already have, or is this a case of him needing Leo himself in order to benefit from what person B has? 2. Yeah, I know this may seem like a silly question, but thought I would ask anyway: Do angles square to the nodes, natal or synastry, mean anything? I’ve never heard of this before, but thought I would ask anyway. If you are the parent and your child has a skipped step (say Pluto in Sag) on your sun in Sag (nodes are same for parent and child NN Pisces and SN Virgo) what as a parent are the karmic ties? Jupiter is the ruler of Sag and both parent and child have Jupiter in Scorpio. I’m wondering if the karmic issue is around emotions, spirituality or religion or law. Parent has NN Pisces in 12th and SN in 6th, child has NN in Pisces in 9th and SN in 3rd. Is there a death or separation from either in an earlier life due to religious or lawful concerns? SN ruler for parent is in 10th in Cap and NN ruler Neptune in 8th (Jupiter in 7th in Scorpio). SN ruler for child in 4th in Scorpio (conj Jupiter and square Saturn in Leo in 1st) and NN ruler Neptune in 7th in Aquarius (Jupiter in 4th in Scorpio). Your article got me wondering about the karmic skipped steps that are related to a parent from a child’s skipped step. Great article, thanks! Which is stronger? South node conj moon by 3 degrees or Skipped point conj Mars by 0 degree? Can you tell me.. What is it if my Mars is conjUncting his skipped step by 0 degree? So I get that the skipped step is points Conjunct. But what about points opp or Square? For instance I have my NN in Taurus is Square Jupiter in Aquarius in the 8th, and super widely Conjunct Venus in Taurus. That Venus in Taurus is Opp my Vertex Saturn Conjunction in Scorpio. I recently met a man who was engaged who literally gobsmacked me, I thought it was mutual. But he’s getting married so I want to focus on myself and what to learn from him. His NN is in Leo Square Chiron in Taurus, Mars and Uranus in Scorpio. His NN is Square my NN by 3 degrees, his Chiron is Conjunct my NN, my Saturn-Vertex Conjunction is Conjunct his Uranus Mars Conjunction these are all Square his NN. I’m wondering about oppositions and Squares. My Saturn is also Square his NN, and my Venus is very loosely Square his NN. My Jupiter in Aquarius in the 8th (is my skipped step) is Opp his NN, and Square his Mars in Scorpio Conjunct Uranus. We have a ton of astroid stuff going on (from my side…I haven’t looked for him) like alma, child, valentine, apollo, amor Juno that fits with this being something. His wife is an Aquarius Sun with Aries Moon born on a Friday, my SO is an Aquarius Sun Scorpio Moon also born on. Friday. This man was born on a Wed, and I was born on a Wed. He is. Libra Sun Conjunct Saturn with Cancer Moon, I’m a Cancer Sun with Cap Moon in the 7th Trine Venus.